How much longer is the NFL going to put up with Greg Hardy? There are some players, no matter how talented they are, that just should not be playing in the National Football League (see Rice, Ray). 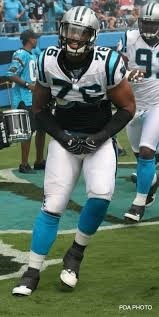 Greg Hardy is quickly putting himself into that same category as someone who the NFL does not need playing. It was well documented this offseason that Hardy was in a court battle over his domestic abuse incident involving his girlfriend. Hardy received a 10-game suspension from the NFL for the 2015 season, which he appealed and was then reduced to four games. Hardy has been back on the field for only a limited time and he has made his presence felt. He picked up eight tackles and three sacks in his last two contests. However, it has been the impact Hardy has made off the field that is much more noticeable. Obviously, Hardy is a man with character issues. Anyone who assaults his girlfriend and then defends it as if it wasn’t his fault has character issues. That was a risk for the Cowboys as soon as they signed him. Hardy is certainly a controversial figure but Dallas seemed to brush that aside. Convincing yourself that you will be able to control a volatile player is a poor idea. The Cowboys clearly thought they had a handle on Hardy and boy were they wrong. Somehow, Hardy walked away from this without a fine, suspension or any punishment from the team. That has to leave most fans scratching their heads and wondering why. Well at least the Cowboys aren’t praising him for this kind of behavior, right? Hold the phone, after all of that, Dallas not only isn’t having a reaction to Greg Hardy’s outburst, they want to give him a contract extension? Jerry Jones has seriously lost his mind here. In watching that first video of Hardy’s outburst from last Sunday, it is clear that he is a locker room cancer. He got into a fight with star wide receiver Dez Bryant over the issue. It seemed as though Bryant was telling Hardy that he was out of line and needed to respect the coaches. Bryant has never been the best at following team rules so if he thinks that Hardy is overboard then you know something is wrong. It also shows how much Hardy only thinks about himself. He isn’t a team player at all and decided to take his anger out on a coach. If I were the Cowboys front office, I would’ve already suspended him for conduct detrimental to the team. Hardy is a menace of a player and not in a positive way. If Dallas is unwilling to make the proper decision here, then the NFL needs to step in. Verbal confrontation with a coach is one thing but Hardy’s physical retaliation should be more than enough to warrant at least a fine. In all honesty, Hardy shouldn’t even be playing right now in the first place because his suspension should never have been overturned so I’m surprised that the league isn’t jump all over this situation. Making excuses for players that have talent coupled with poor attitude can tear apart a team. We saw it happen to the 2012 Jets with Santonio Holmes. Jim Harbaugh turned out to alienate the entire locker room last year. Brandon Marshall even took shots at Jay Cutler over the last two years. Team’s can implode if they are distracted off the field issues. The Cowboys already sit at 2-5. You would think they’d realize that they need to turn things around. It is not easy to punish a top player like Hardy when he is doing so much for your team on the field. But the Cowboys need to step up and take a stand. If they let this continue, Hardy becomes bigger than the team and gets to play by his own rules. I’m tired of watching Greg Hardy be a bully. Hopefully, the NFL is too. No change at the top as the Pats took care of the rival Jets. It was far from the best game New England has played this year. Actually it might have been their worst, with 12 total drops by receivers on Sunday. The fact that the Patriots won while not being at their best underlines just how talented this team is. An off week for Cincinnati allows the Bengals to gear up for the second half. Still undefeated with Andy Dalton playing the best football of his career and a plethora of offensive weapons, this is the best we’ve seen the Bengals in years. The bye allows the Packers to prep for Denver. This is one of the marquee matchups of the season. Green Bay’s high powered offense against Denver’s incredible defense. Aaron Rodgers is going to have his hands full dealing with Von Miller and DeMarcus Ware all night long. Hopefully this bye week allowed the Broncos to figure out what on Earth to do about their offense. They rank third worst in rush yards per game and 14th in points per game. Plenty of those points have been defensive scores as well. If you factor out the defensive scoring, the Broncos’ offense is only averaging 19.2 points per game. Cam Newton had a bit of a rough outing against Philly. He threw for less than 200 yards and had three passes picked off. Still, the Carolina defense and run game got the job done. Carolina might be the most unpredictable undefeated team we have seen in some time. Well they certainly gave the Pats a challenge, but the Jets could not stop the Patriots in crunch time. The Jets had a one-point lead entering the fourth quarter. The New York defense gave up two fourth quarter touchdowns and ended up losing by seven. Todd Bowles could not generate enough pressure on Brady without having to blitz. When the Jets did blitz, they paid for it. Bruce Arians and Carson Palmer almost mismanaged the clock into a loss. They gave Baltimore a chance late to tie the game but a game clinching interception bailed them out. Arizona has been shaky over the past few weeks but still have a healthy lead atop the NFC West. Whatever happened to that Atlanta offense that dominated the first five weeks, it has completely disappeared. In the past two weeks, the Falcons have 31 total points and five turnovers. They were fortunate to be playing the lowly Titans this past week otherwise Atlanta probably would’ve lost its second straight game. The Steelers will be very happy to see Ben Roethlisberger take the field again. Youngster Landry Jones had a tough week against the Chiefs, throwing two interceptions. Pittsburgh’s offense only managed 13 points and looked like a team that lacked an identity. Their leader returning should right the ship just in time for a huge matchup with undefeated Cincy. Everyone proclaimed Teddy Bridgewater a game manager after a few weeks of mainly handing the ball off. He lit up the Lions though for 300+ yards and a pair of touchdowns. Minnesota is showing that it can adjust to play however it needs to get the win. It was closer than it probably should have been but the Giants got a big divisional win at home. They find themselves back atop the NFC East and just in time as well. Dallas has Dez Bryant set to return this week with Tony Romo not too far behind. The Giants need to extend their lead now while they can. Huge win for the Raiders to keep their slim playoff hopes alive. The scoreline does not reflect how dominant Oakland was in this game. Derek Carr outplayed Phillip Rivers. Latavius Murray almost outrushed the Chargers on his own. Great divisional win for the Silver and Black. Seattle got back on track with a good win against San Francisco. It wasn’t totally convincing for the Seahawks but they out played San Francisco all night. All of Seattle’s wins have come against teams well under .500 this season. They need to beat a good team before anyone buys into them again. Philly seemed headed in the right direction and honestly, they are still on course. Winning in Carolina was unlikely at best for the Eagles. The defense created some turnovers but the offense was no match for the Panther defense. Because of how weak the NFC East is across the board, Philly is still in the playoff picture but this team is way too inconsistent to be considered good. St. Louis has more yards per game and more points per game than only one team in the league. It turns out that it is division rival San Francisco. This was a solid win against Cleveland and Todd Gurley looks like a stud but the offense is far from complete. Nick Foles needs to start holding up on his end of the bargain. A huge comeback seemed imminent for the Colts as they continued to rack up points in the second half. However, Indy couldn’t overcome a very poor start and Andrew Luck threw multiple interceptions in his fourth game this season. Considering he’s only played five, that is a major concern. Buffalo probably wasn’t overly satisfied with their road trip overseas. The Bills made a fantastic comeback and pulled ahead in the fourth quarter, but failed to hold the lead. Jacksonville outplayed the Bills for a good chunk of the game and Buffalo’s offense looks inconsistent on a week-to-week basis. If this continues, Dan Campbell will be the mayor of Miami by season’s end. The Dolphins blew out two mediocre teams but they seem to have renewed fight in them. They are still on the outside looking in but they are definitely headed in the right direction. The real test comes this week against the Patriots. Two weeks and two wins for the Saints put them in a position to potentially salvage their season. They still have a bit of a ways to go but with wins over the Falcons and Colts, New Orleans has shown that they can hang with potential playoff teams. Kirk Cousins is still pumped up! Washington pulled off the biggest comeback in franchise history this weekend in spectacular fashion. Alfred Morris and Matt Jones combined for just 34 yards on 15 carries and the defense got gashed by Doug Martin but the resilience Washington showed was impressive. After a great effort against Green Bay where they pushed the Packers to the brink, San Diego fell flat on its face against Oakland. The Raiders ran away with this game early and San Diego did not have enough time to catch up. It seems like Denver has the AFC West all but locked up. Matt Cassell played for the Cowboys at quarterback and it wasn’t much of an improvement for Dallas. Cassell threw a pick six against the rival Giants that ended up being the difference in the game. Dallas is hanging tough in most games but they still cannot get a win with Romo and Dez sidelined. Charcandrick West just made a name for himself in Kansas City. West posted 110 yards on a five-yard per carry average and scored a touchdown. The Chiefs don’t seem like they have any shot of making the playoffs but they knocked off a good team in Pittsburgh even if it was with Landry Jones at the helm. It is a little troubling to see the Bears playing as poorly as they are. Matt Forte has been on fire and Alshon Jeffrey has been fantastic in his past two weeks. Yet, Chicago sits at 2-4. They haven’t had a tremendous amount of turnovers, but they have the second worst net point differential in the league. Piecing both sides of the game together has been tough for Bears to this point. I am not a fan of moving a team to London but the Jaguars might want to get on board with that movement. They got only their second win of the year at Wembley and it was a great win for them. Factions of Jaguars fans exist across the pond already. If any team is heading there, it will be Jacksonville. The offense came back down to Earth and the defense was gashed by Todd Gurley. Cleveland had been competitive this season with their last three loses all by one possession. The Browns looked outmatched in this one though and head home to take on the Cardinals. The road doesn’t get any easier for the Browns from here. Playing the Falcons close is a moral victory but Ken Wisenhunt isn’t very interested in those. The Titans had every opportunity to win this game against Atlanta. They led 7-3 at halftime and only gave up seven points the rest of the week. Unfortunately, for the defense, the offense never scored again. Not having Marcus Mariota hurt Tennessee and the lack of a running game hurt even more. Getting blown out at home by Seattle seems to be an annual occurrence for the 49ers. This one was particularly brutal as San Francisco only managed three points and never even looked like they had a shot of winning. Colin Kaepernick seems to slowly be losing favor in the locker room and among the coaches. Change will be coming soon in the Bay Area. Someone give the Ravens a break! Baltimore lost all communication between the sideline and quarterback Joe Flacco on the game ending drive against Arizona. The Ravens had some bright spot but it all goes down as another loss. Detroit failed to get the Minnesota offense off the field and could not hold the ball long when they had the chance. The Lions need to find some success running the football and then do it consistently to keep the pressure of Matt Stafford. The offensive coaching staff got a shake up so we will have to see if that changes anything. It seemed like the Buccaneers had a win locked up in Washington up 24-7 at halftime. Tampa ended up losing by one after Washington scored the decisive touchdown with under a minute left. The Bucs have a great young core but it is a long way from developed. There is a possibility that the Texans would have given up 70 points in this game if the Dolphins had kept their foot on the peddle. Down 41-0 at halftime, Houston made a feeble attempt at a comeback and fell well short. Ryan Mallett got his walking papers on Monday and Arian Foster’s season ended with an Achilles injury. The Texans’ season is quickly spiraling out of control. Money talks. It is as simple as that. No one ever wants to turn down an opportunity to make more money in a deal. The NFL is the embodiment of this sentiment, jumping at whatever opportunity they can to expand its revenue stream. The latest idea for the league to broaden its financial horizons centers around the idea of placing an NFL franchise in London. Those in favor of the move overseas have pointed to the recent success of the NFL’s games held every year in the country’s capital city. Games tend to sell out quickly and have been wildly popular up to this point but I think it would be hard to create a dedicated fan base that would go to games regularly. What makes the NFL London games such a hit is their novelty. Playing three or so games a year is good exposure on a different continent for the NFL but implementing eight games every year might begin to see the excitement dwindle. Once the experience is no longer quite as unique, the desire to attend these games starts to wear off. There is some proof that NFL teams in Europe tend to fail to find support. NFL Europe is no longer around for a reason. The expansionary developmental league folded after the 2007 season. Most of those teams were based in Germany but the fan base was not there. Much of that can probably be attributed to the lower level of play in NFL Europe. NFL stars in their prime were hardly lining up to go play overseas. To that point, I don’t think a London franchise would have much success attracting free agents either. Very few players, especially well established ones in the league, are going to want to uproot and move abroad if they can stay in the continental United States. London would have to shell out significantly more money than any current teams if it had any hopes of landing a top player. It is a hard sell for a team to convince a player that he should move to a different country to play football when he can easily find a job in the US already. Moving past finding players, logistics would make this setup a nightmare. With a team player eight games a year across the pond, visiting teams would not be given the customary bye week following the game that they receive now. Right off the bat, that will be a hotly contested issue in planning. Attempting to work out players becomes increasingly difficult as well. Teams now can easily fly in two or three prospects to work them out during a given week if they are in a bind before a game. However, a team would not realistically fly players overseas just to work them out. That definitely complicates things. In talking with Bob Wischusen, radio announcer for ESPN Radio, I found out that the plan in place to solve that last issue could be to have the team’s home base be set in Orlando, Florida. All scouts and player personnel would be set up there and that would allow them to evaluate talent appropriately. However, the time difference then comes into play as coaches and scouts then have to communicate across time zones. That complicates things even further when the team needs to make a quick decision about whether to sign a player. Other things like the trade deadline or the waiver wire could also come into play as being something the NFL needs to figure out. Overall, the whole situation is beyond complicated. Setting up a team in London would be a mistake by the NFL because of all of moving parts that would need to be figured out and the general lack of interest from players and fans. If the NFL is truly intent on expanding it’s international approach then planning games in Toronto, Mexico City or Hamburg, Germany should be the next steps to take. The novelty of these games is what attracts fans and makes it a unique event. Maybe one day, the league can look to put a franchise overseas, but for now, that simply isn’t something the NFL is capable of handling. The deliberate handball. One of the dirtiest plays in all of sports and probably the dirtiest one in soccer. Yet players get off with a minimal punishment considering how much of a game-changer it can be. This might seem like odd timing. Nothing happened recently in soccer that sparked this conversation. This is actually as a result of an argument I had with a buddy of mine recently about how one of the most controversial rules of soccer works. 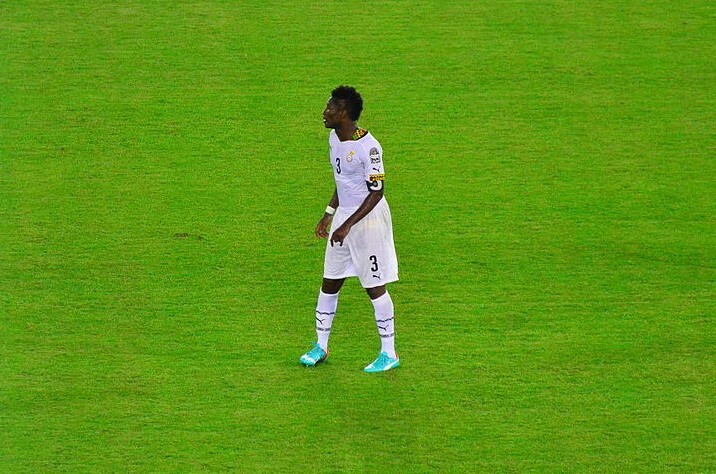 Gyan finished the tournament with three goals but could not find a fourth to put Ghana through to the semi final. For anyone looking for an example of what I mean, here is a perfect one. At the 2010 World Cup in South Africa, Uruguay met Ghana in the quarterfinal round. The game was tied and it was late into the second half. Ghana put together an attacking move that led to a shot that rebounded off the keeper. Another shot was blocked by an outfield defender and the ball careened into the air. One of Ghana’s players got their head to it and directed it towards goal. Luis Suarez, who was standing on the goal line, blatantly blocked the ball using his forearm preventing a sure goal for the African side. Suarez was given an immediate red card and was suspended for the ensuing match. Ghana was awarded a penalty, which Asamoah Gyan banged off the crossbar and over. Uruguay would go on to win the game on penalties and advance to the semi final round. But there never should have been extra time or penalties. The game should have ended with Ghana in front 2-1. Ghana had essentially slotted home the winner until Suarez illegally prevented it from going in. The referee did what he was supposed to do, which is eject the player and award a penalty. Sure Ghana had more chances to score in extra time and during penalties but it should never have come to that. However, that hardly seems fair. Ghana had a shot heading into the net that would have counted for a goal. They should have just been awarded the goal. Earning the penalty is nice, but then they still have to take a shot on goal again with the keeper prepared to defend it. Going from a goal scored to another shot on goal isn’t exactly an equal pay off. I’m sure most people will say, “Well that’s just how it is.” I’m saying it shouldn’t be. Think about it from the standpoint of a basketball play. If a player is fouled in the act of shooting or before he even takes the shot but there was a clear path to the basket, they are awarded free throws. Their scoring opportunity was taken away and as a result, they have a chance to earn those points in a different way. They don’t just award the player the points though because there is still a possibility that he could have missed the ensuing shot even without the foul. This is similar to in soccer when a player is taken down inside the penalty area. They are awarded a penalty. Logically, that makes sense, the defender committed a foul that prevented a goal-scoring opportunity for the offense and now they are given a chance to take another shot on goal from the penalty spot. Once again, it was not guaranteed to go in though, so the goal is not just given. Going back to basketball, there is an instance in which a team is awarded a basket even if the ball does not make it through the netting. Goaltending is called when the ball is knocked out of the basket illegally. Rather than award free throws, the referee simple awards the points the shot was worth because it was already going into the basket when someone wrongfully interfered. Suarez missed the semifinal loss against Netherlands. Soccer does not have that. In the case of Suarez’s handball, Ghana was not awarded a goal despite the ball heading into the net. It is the exact same concept as goaltending in basketball, but it is called very differently. That is just how the rules of the game work for soccer. It shouldn’t be though because it promotes cheating. Uruguay won that game because Suarez broke the rules. That should not be allowed. It tears down the very integrity of sports. It allows the cheaters to win because of the way the rules are written. They might be penalized, but in that instance, the cheating paid off. That should never be the case. A team that deliberately breaks the rules should be not be given a second chance to make up for the situation. I think soccer should introduce a goaltending rule, similar to what happens in basketball. If an outfield player illegally prevents a ball with a clear path to the net if he is the only player in between the ball and the net, as it was in Suarez’s case, then a goal should be awarded. The ball was going into the net. There is no question about. It would have been a goal had it not been for an illegal play. That rule would boost the integrity of the game of soccer. There would be no reason for players to deliberately block the ball with their hands to save a game because it would not save the game any more. The goal would still count and the player would still be ejected. It would not benefit his team in any way to make that play so players would stop making it. It is a logically change for FIFA to make. The score line from last week’s game with Indy is not indicative of how in control of this game New England was. The Colts finally made God (I mean Brady) bleed though as they picked him off early and returned it for a touchdown. A big test against the division rival Jets this weekend could just about put the division out of reach for everyone else if the Patriots win. While it doesn’t guarantee playoff success, the Bengals have been one of the best teams in the NFL so far this year. Andy Dalton has been nothing short of dominant and the defense has held it together. Cincy looks like a really tough team to beat going forward. Two straight weeks of less than stellar play from the Packers has to be a little worrying. They still won both games but Aaron Rodgers looked mortal against the Rams and now the running game seems to have vanished. Eddie Lacy is averaging fewer than four yards per carry and has only scored one touchdown. Seriously, this is starting to get really concerning. What happened to Peyton Manning? Even the beat up version of the future Hall of Famer we saw last year wasn’t this bad. Leading the league in interceptions and owning a completion percentage only slight better than Jay Cutler is what you would expect of Eli, not Peyton. The first half wasn’t pretty. Actually it was really ugly. I had a chance to watch the Jets game from MetLife this weekend and the team that showed up in the first half was horrendous. And yet, New York was only down three at halftime. If the same Jets that played in the second half show up again this week, don’t be surprised if they give New England a run for their money. A stunning comeback in Seattle means that the Panthers stay perfect for another week. With the Falcons falling last week too, Carolina now has the outright lead in the NFC South. The Panthers are quickly closing in on their win total from 2014. The Falcons came back down to Earth this past week with a pretty big thud. Atlanta laid an egg against the Saints on Thursday night and now sit behind the unblemished Panthers in the division. The good news? Atlanta has two cracks at Carolina left on their schedule. No Ben Roethlisberger? No Michael Vick? No problem for Pittsburgh. The Steelers got a big win over the Cardinals this weekend with Landry Jones playing some critical minutes late in the game. LeVeon Bell continues to carry this team who, despite all the injuries, sit at 4-2. Alright I can’t seem to figure this out. Arizona started hotter than anyone else in the league. Since then, they have been a roller coaster. The ride hit a new low this week as the Cardinals were soundly beaten by a combination of Michael Vick and Landry Jones. They still lead the division but this would be a good time for the Cards to develop a cushion for themselves. It was a loss but that was the best game Andrew Luck played all season. He avoided turning the ball over and the Colts were in this matchup with the Pats until that bizarre fake punt call. They might be only 3-3 and but this team is slowly trending up. The Bills looked very outmatched against the Bengals this weekend. Without Tyrod Taylor the offense was not quite as dynamic. Now with Taylor, Sammy Watkins and Percy Harvin all looking like they will be out against Jacksonville, the Bills are in trouble. It was far from their best game of the season but Minnesota still hung on for the win. They might not be a Super Bowl contender but this team has the talent to make it to the playoffs as a wildcard team. Two weeks ago, the Eagles looked down and out having lost to Washington in disappointing fashion. Now, Philly is back on top of the division looks to be the team to beat in NFC East, for right now. When the Cowboys get healthy, that could be a different story. For the second straight week, the Seahawks had a commanding fourth quarter lead and it quickly evaporated. Seattle looks like a team trying to find its way on both sides of the ball. At 2-4, the only chance the Seahawks realistically have of making the playoffs is by winning the division. Somehow, the Cowboys are only one game out of the division lead despite not winning in almost a month. A huge game with Giants could vault Dallas back to the top. They already have two division wins this season, including one against New York. Dez Bryant could be back as well, which should aid Matt Cassell immensely. After looking like the Giants’ had found their stride and were destined to run away with the NFC East, they fell flat on their faces in Philadelphia. Now New York finds themselves sitting at .500 tied with the Eagles for the division lead. Once everyone is healthy, this team could make a push but with Tony Romo and Dez Bryant coming back in the next few weeks, they must have a lead in order to weather the storm. Can someone please give Phillip Rivers some help??? He threw the ball 61 times for 503 yards this week and the Chargers still lost to the Packers. Obviously, Green Bay is a very good team but when Rivers plays that well and San Diego still loses, something needs to change. This week could make or break the Raiders season. A divisional game against San Diego will determine if Oakland claws back to .500 or if they drop into the bottom half of the AFC again. A week off hopefully gave Jeff Fisher some time to figure out how to fix this offense in St. Louis. Nick Foles ranks 29th out of 34 qualified quarterbacks in completion percentage. Overall, it seems like handing the ball to Todd Gurley and Tre Mason should be a big part of Rams’ gameplan going forward. Dan Campbell is already wildly more popular in Miami than Joe Philbin after a huge win over Tennessee. The Dolphins still have a ways to go to climb into playoff contention again but they are headed in the right direction so far under their new head coach. Washington led in their game against New York this weekend at halftime, then they proceeded to score seven points in the second half, all of them coming from a blocked punt recovered in the endzone. Washington fell apart in the third quarter and never recovered. Houston got a huge win over the Jaguars this weekend. Despite a very slow start to the season, the Texans are only one game out of first place in the AFC South. With Arian Foster back and healthy with DeAndre Hopkins terrorizing secondaries, Houston might just be a part of the 2015 playoff hunt after all. I dropped them into the cellar and the Saints responded in a big way with a major win over the Falcons. New Orleans is still a couple of wins away from being a competitor in the NFC but this was a huge step in the right direction. Losing to the winless Lions probably doesn’t do much to boost morale but the offense looked very good in the process. Unfortunately, the defense failed to hold up on its end of the bargain. Chicago needs to decide soon if it is going to hang on to its aging core or hit the reset button. Cleveland came so close to pulling off what would have been the upset of the season. A second straight overtime game for the Browns went the other way this week. The Browns ground game is among one of the worst in the league. For them to have any shot of challenging this season, they need to take the pressure off Josh McCown. After playing a very close game against Buffalo just the week before, the Titans were blown out by Miami. Marcus Mariota turned the ball over four times and exited the game with a knee injury in the second half. Easily the worst game of his short professional career. San Francisco got a solid win over the struggling Ravens. It was a hallow victory, but with Seattle and Arizona losing this week, San Francisco is very much in the conversation for the NFC West crown. In order for that to happen though, the 49ers need to find some offense. Winless no more means that the Lions will not repeat their 2008 fate. The defense has been awful thus far and was again even in the win. Detroit has allowed the fourth most points per game this season. With that kind of output, are you surprised that the Lions only have one win? Tampa took its bye week to hopefully get healthy. That mainly applies to second year wideout Mike Evans, who has been hampered with injuries. That has contributed to a very quiet start to this season. With a quarterback as raw and inexperienced as Jameis Winston, having all the help he can get is key. I was pretty sure Baltimore was in for a down year, but even I didn’t predict this. The Ravens are 1-5 and sit at the bottom of the AFC North. There is just about no hope for them to turn this season around with the Bengals five games ahead of them. Well the defense put up a valiant effort this weekend against Minnesota but got no help from the offense. Managing only a meager 10 points, Kansas City put up its worse scoring total all season. It seems like life without Jamaal Charles will not be pleasant. Gus Bradley’s seat has to be getting warmer as the weeks go by. That win over the Dolphins seems like it happened a long time ago and now Jacksonville has four straight losses. The Jaguars have allowed 31-plus points in three of their last four games. That is probably the root of the problem.